For That Perfect Hair Color That Wows. Call Us! We first opened our doors as a nail and tanning salon in 1986. Four expansions later, VIP Salon and Spa has emerged as an award-winning salon and spa. Our mission has always been to provide every client who walks into our salon with outstanding service. We offer industry-leading beauty products in our upscale, yet relaxing and comfortable atmosphere, coupled with an accommodating and friendly staff. From hair to nails to wax and massage, every client is treated as a V.I.P. in our salon! 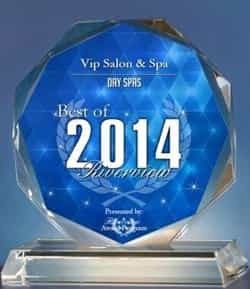 Awarded "Top Nail Salon In Detroit"
VIP Salon and Spa has received many national and local awards. Our salon was awarded the "Top Nail Salon In Detroit", by Click On Detroit, three years in a row. We invite you to visit our salon and enjoy the services of one of our 20+ Grand Master nail technicians. We specialize in state-of-the-art pedicure rooms that include Sealy Posturepedic massage chairs with built-in whirlpool units for the ultimate pedicure. To schedule a nail salon package please call us at (734) 250-9081 today! We provide high-quality hair salon services for women, men, and children. 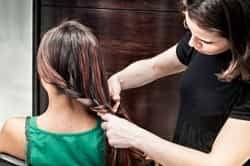 Our hair salon is fully equipped with over 12 licensed and highly creative hair designers who can perform all services from hair relaxing solutions to permanent hair color applications. At VIP Salon and Spa, our highly trained and skilled estheticians provide complete medical-grade Skin Authority or organic Eminence facials. Look and feel your best with glowing, flawless skin! We can help you instantly lose inches with our custom body wraps. These top-of-the-line body wraps were created exclusively for you! Schedule Your Full V.I.P. Salon And Spa Experience Today! Copyright © 2018 vipsalonandspami.com All rights reserved.